I have had our home energy audit report in hand for more than a week wondering how to proceed. Air sealing and insulating the attic hatch. Completing basement wall (XPS foam board) insulation. Adding insulation to the bulkhead door. Air seal the chimney surround with fireproof sprayfoam and fireproof caulk. Air sealing our home's envelope (doorways, windows, electrical outlets, and access holes to outside [oil service, dryer vent, bathroom fan, radon abatement system, cable and electrical service]). Upgrading the bathroom fan and adding a vent controller . 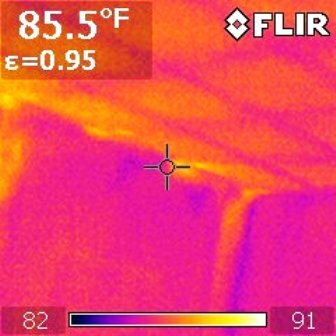 Air sealing at house sill (along ceiling in basement). 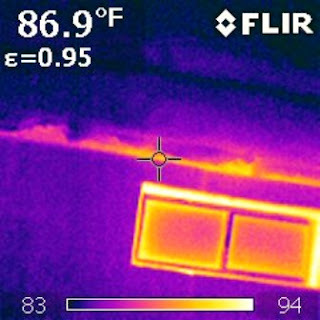 Stopping air flow around proper vent at soffit. 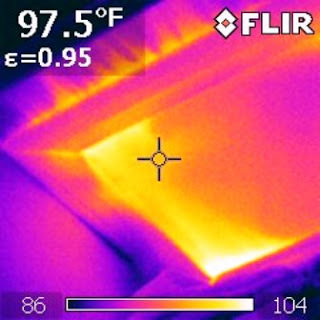 Adding an additional 15" of blown-in attic insulation. Will these achieve the to a 25% improvement in efficiency? (Recall that the Efficiency Maine incentive program requires us to reach 25% to trigger the rebates. Anything I do will make the house both more comfortable and efficient.) Can/should I do more? There were other air sealing recommendations included in the report; however, these retrofits may lead to more expensive upgrades. 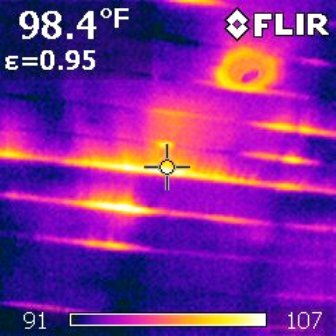 Our home energy audit report shows that with 25% less air movement from inside to outside, my home will be right on the line for building tightness limit where additional air sealing. So, to meet 25% greater efficiency may require an air-to-air heat exchanger to meet indoor air quality requirements. This has had me in a quandary for a while as I try to get more information and decide what to do.After checking with a lot of people, the best way for me to get to a 25% improvement in efficiency without having to install an expensive air-to-air heat exchanger was by adding an air-source heat pump water heater -- GE Geospring (http://www.lowes.com/pd_79425-83-GEH50DNSRSA_4294859091_4294937087?productId=3127075&pl=1&currentURL=/pl_Electric%2BWater%2BHeaters_4294859091_4294937087_?rpp=30) to heat our domestic hot water. ** I am still waiting to speak to the plumber regarding using it as a supplement to our home heating also (we have hydronic baseboard and radiant floor heat). I don't know if this makes sense, but I plan to find out this week! These air-source heat pump (or hybrid) water heaters are very efficient and have added benefits of cooling and dehydrating the air. I plan to have this unit installed in the basement where we run a dehumidifier spring, summer, and early fall to keep the basement dry. This means that the electricity for the new water heater unit will be replacing an appliance we are already paying to use for half the year. Even if we only use this for domestic hot water, we will be able to turn off our oil boiler when we are not heating our home-- more than a third of the year (May to Sept). Yes, this is when we use the least oil, but we won’t be using oil to heat water in the middle of the night in July for a shower that won’t be taken until the next day. I suspect this will make the Intellicon (http://wormmainea.blogspot.com/2009/06/big-savings-from-small-investment-can.html) function even better during the heating season because the periodic draws on the hot water (e.g. for hand washing) will not occur. I will let you know if this is what I find. These photos from Erik (www.freeenergymaine.com) show air leakage in our home in several area. These were generated by using a blower door to create a vacuum in our home. Erik's FLIR camera showed where warmer outside air was getting in. The bottom scale in the images is degrees F.
Air coming in around the tongue and groove ceiling in the porch addition. Not bad. Air flowing (perrty freely!) around and through the attic hatch . This is really bad and needs to be addressed. Warm air moving the the ceiling above Bert's office where the outside air was getting pulled in through the soffit escaping the proper vent (see http://www.homeconstructionimprovement.com/blocked-proper-vents-causing-ice-dams/) and moving under the insulation above her head (in the winter this would be cold air blowing in and making her cold!). Here the sill plate is not sealed and is allowing air to come in from outside. When I felt this area it was like a breeze blowing on my hand. I am waiting for Erik's report to determine the next steps and develop a plan to submit to Efficiency Maine for the rebate.